I took a short flight on Friday, January 17, to attend the ISS Show in Long Beach California. Wow – things have certainly gotten better. I have never seen a busier show. With preliminary numbers of over 14,000 buyers and around 350 exhibitors, this looks like the biggest ISS Show ever. 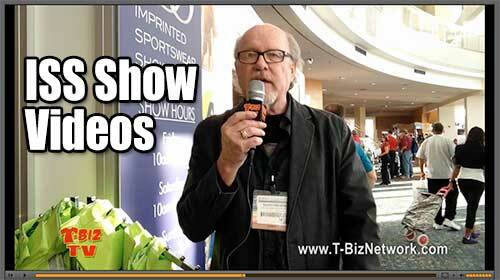 Of course if you have been in this business for awhile you know that this is THE show to attend if you print garments. It makes all other shows look tiny by comparison. I did a short show review and I will update this article once the dust has settled and I talk to more exhibitors about their take on the show. The following three videos are from the show. Enjoy. Check out over 100 videos at our YouTube T-Biz Channel. Click on the YouTube icon near the top of this page to take a peek.